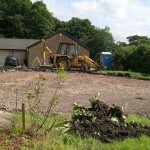 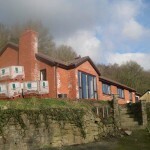 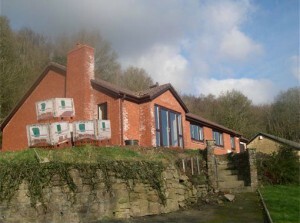 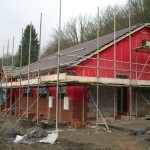 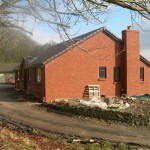 This project was carried out for Mr & Mrs Gould. 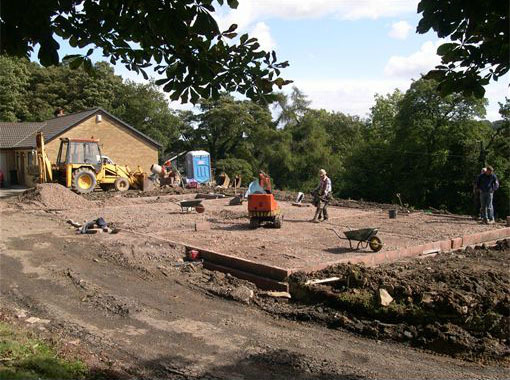 Our involvement was as project managers organising individual sub contractors and purchasing client supplied materials, for the envelope only. 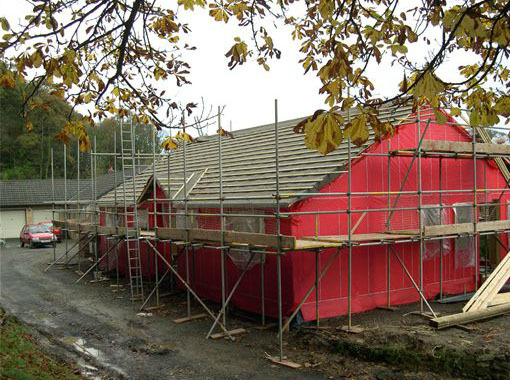 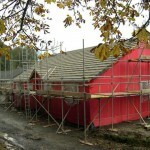 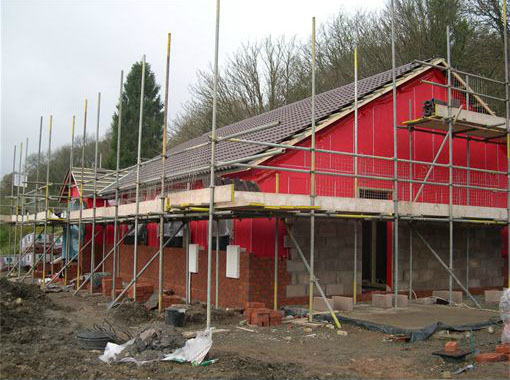 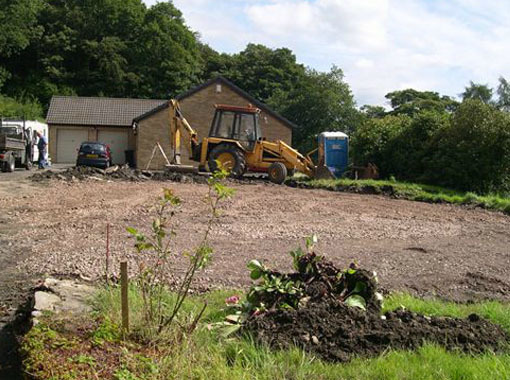 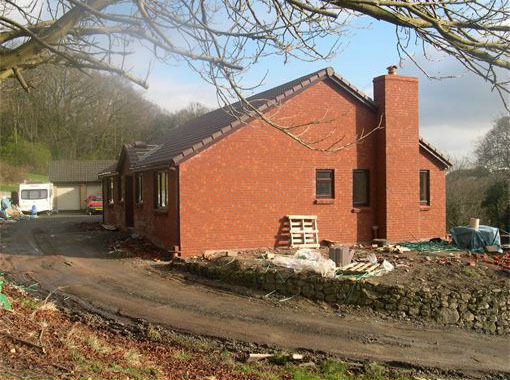 The project comprised of the demolition of a prefab bungalow and the construction of a ‘Timber Frame Wales’ detached timber frame Bungalow. 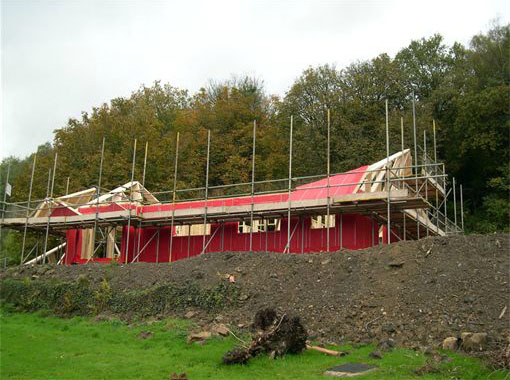 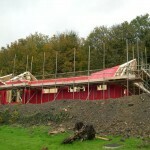 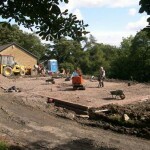 The site was tight on with a steep incline to the drive that made erection of the timber frame and deliveries difficult. The Bungalow was constructed on traditional strip foundations with a ground bearing floor slab and traditional timber frame with brick facades, under a Spanish slate roof.